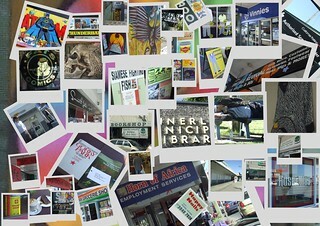 Collage of some of the photos from my trip to Annerley Junction on June 17 2009. Made on July 18 2009. The collage is HUGE - 5120 x 3620 pixels. So if you wanted to print it off and laminate it or something, it would still look pretty good (and you can reduce it, of course).